On behalf of Places Victoria, Core Projects transacted the Lynbrook development site that consists of three parcels of land; 2-14 Beaver Terraces, 2S Elliott Parade and 10 Selma Close. 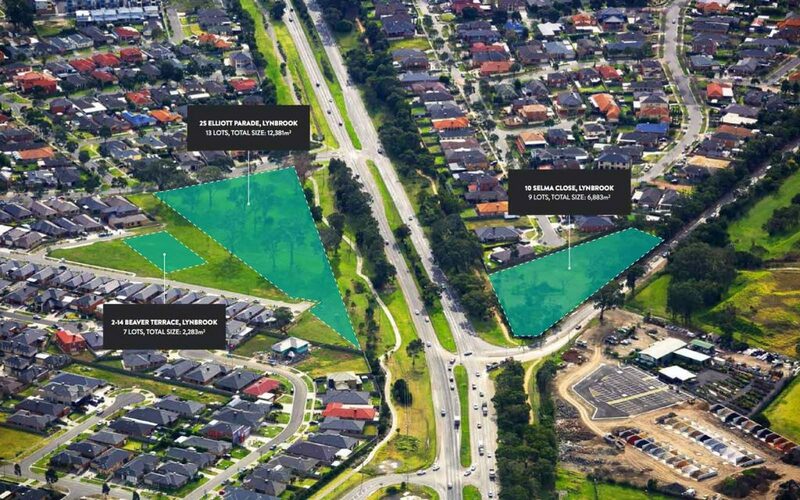 The three sites had previously formed part of Places Victoria’s broader Lynbrook residential development. The site is located in close proximity to both the Lynbrook Village Shopping Centre and the newly refurbished Cranbourne Shopping Plaza and just a short drive to Lynbrook Station, Lyndhurst Secondary College, Lynbrook Primary School and Cranbourne Station. With easy access provided by the South Gippsland Highway, Princes Highway and Monash Freeway, Melbourne’s CBD is only a 30 minute drive away.